In this article, we will show you how to extract data from SAP BW to Tableau Server utilizing Data Unfolder’s new feature. 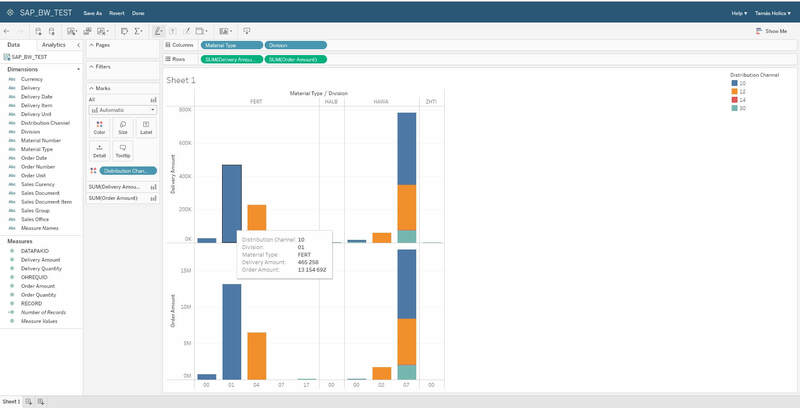 Tableau and other BI platforms tend to have their own connectors to SAP BW, but they usually lack the speed and features necessary to ease up working with SAP BW data. 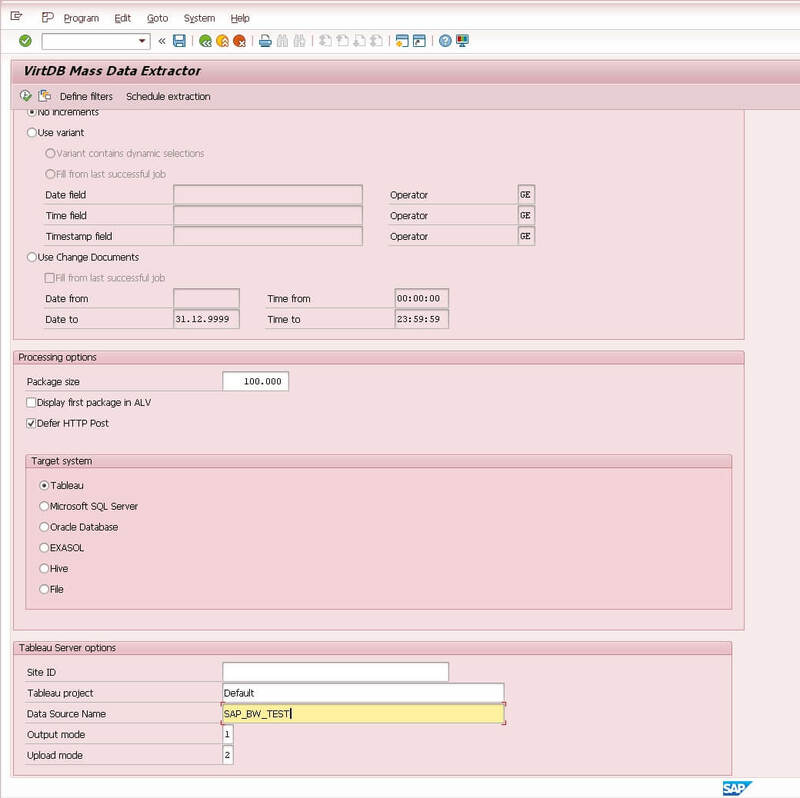 We already wrote about how Data Unfolder handles SAP BW hierarchies during data extraction, now we will show you the extraction process end-to-end. 1. 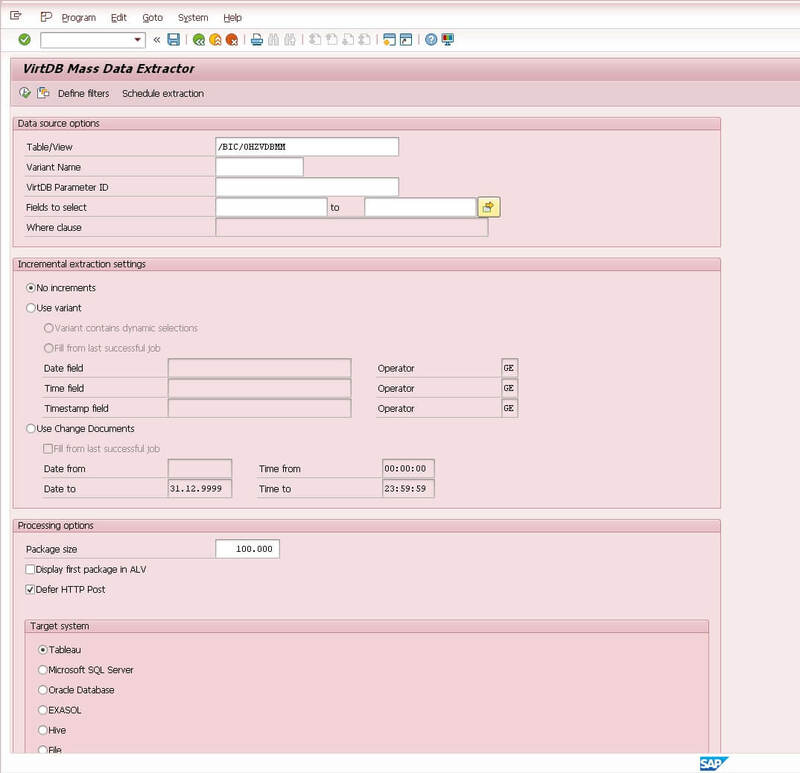 Data Unfolder’s SAP BW extraction feature works through SAP Open Hub Service. So the first step is to create an Open Hub Destination. In the Template section choose your Object Type and Data Source and Source System, then save it and execute it. 2. Here you can see the Open Hub Destination and the table. 4. 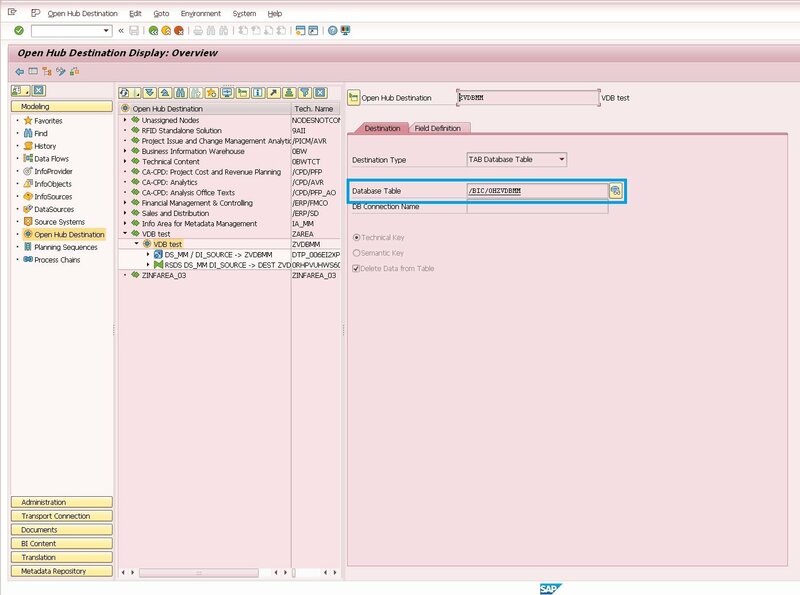 After the job finished, we can open the Mass Data Extractor in Data Unfolder by running transaction /n/vdb/mde and select the table we just created. You can find more detailed guide on how to use Mass Data Extractor in this article. 5. At the bottom of the screen, we can configure the target system specific options. In this case we would like to extract our SAP BW data to Tableau, so choose Tableau from the radio buttons, specify the Tableau project, data source name, and upload mode options. Note that in the example we selected upload mode “2” which stands for overwriting records in the existing Tableau Server table. If the MDE settings are configured save it as a variant so you can schedule a background job. 6. 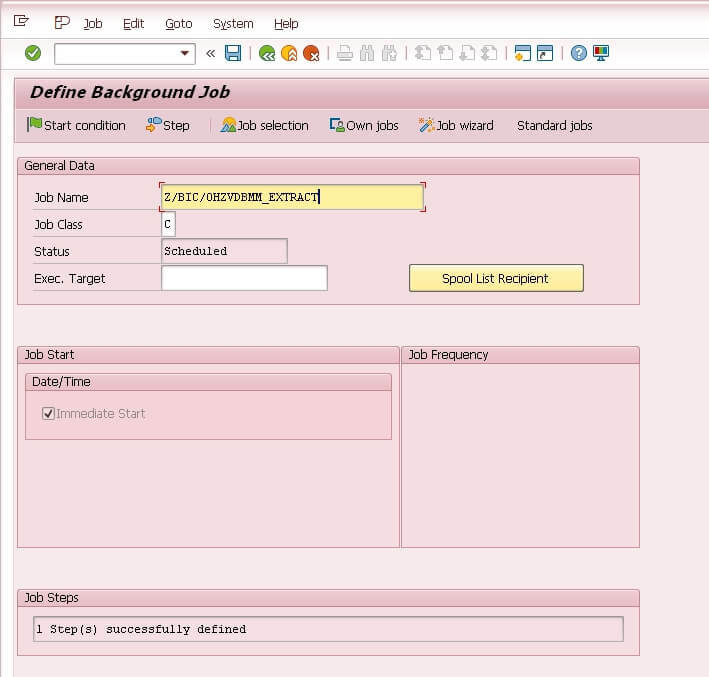 Open the job scheduler, specify scheduling options (this time it will be a one-time immediate run) and then save the background job. 7. Let’s check the SAP job monitor. 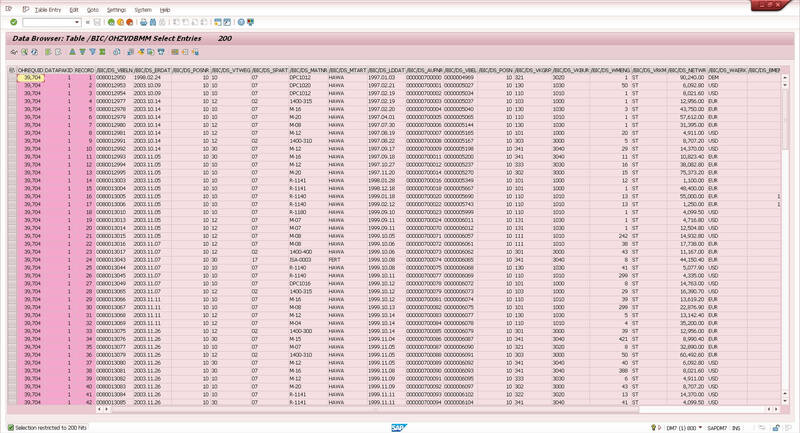 If the job status is finished, our SAP BW data should already be in the specified Tableau table. 8. 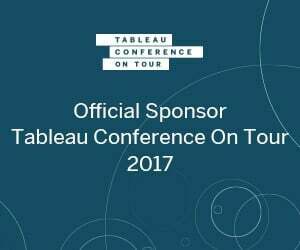 Now we can open our Tableau Server and start working on our SAP BW data. Data Unfolder helps you enhance the user experience for Tableau users by extracting SAP BW data directly to Tableau Server, instead of using the slow and buggy live connection. Furthermore, it extracts application level logic from SAP BW through Open Hub Service to save time and effort in data preparation and transformation.